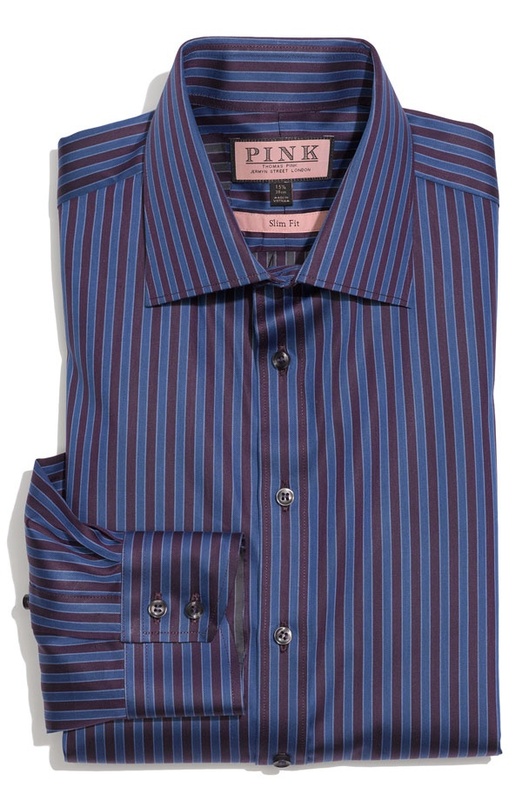 A sharp slim fit dress shirt from Thomas Pink, this ‘Mass’ shirt features richly hued purple and blue stripes to bring some great colour to your work ensemble. Featuring a spread-collar and double-button cuffs, contoured panels on each side perfect the slim fit. This fine cotton shirt is available online now. This entry was posted in Dress Shirts, Tops and tagged Thomas Pink. Bookmark the permalink.